Cure heart disease by eating healthy. That sounds so outlandish considering we live in a time where the general consensus is that only a doctor’s prescription pad can lead to a cure and food is only for gratification and entertainment. This is the last and final chapter of our Heart Healing Remedy 5-part series. In previous chapters, we’ve discussed an array of heart-healing foods and supplements that really have the potential to cure heart disease. If you missed the first few original articles, you can click here to go back and read them. To this day the Japanese still enjoy the lowest heart disease numbers worldwide. This is due primarily because of the blood thinning diet they consume in abundance. It’s statistically recorded that more than 50% of Japanese people drink 3 cups of green tea every day. You can easily find research on green tea and the studies on how the polyphenols in green tea are backed by over 1000 studies confirming its ability to aid against heart disease. It’s recommended to substitute coffee for green tea. Though coffee also offers some heart benefits, because it is burnt chard-up coffee beans, it is full of free radicals. Beyond that, we know that coffee does not improve health while, green tea does, making it superior to coffee. 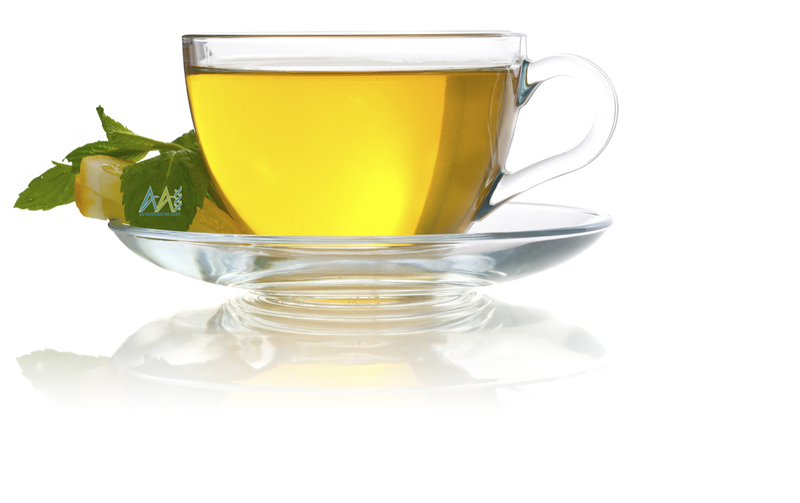 Green Tea should be on the menu when working on a cure for heart disease. Eating super foods like goji, acai and maca root are also highly recommended. Acai and goji can easily be added to smoothies. People should really start considering getting into the morning tonic we’ve discussed. That tonic has immeasurable health benefits, covers main focal health points and incorporates maca powder to maximize the consumer’s endocrine function. 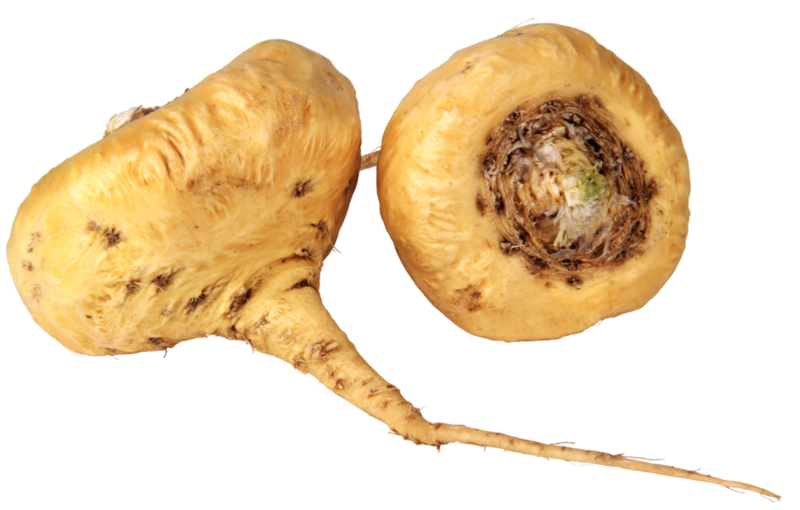 Maca assists with hormone balancing and increased vitality. Studies show low hormone levels also play a role in heart disease. 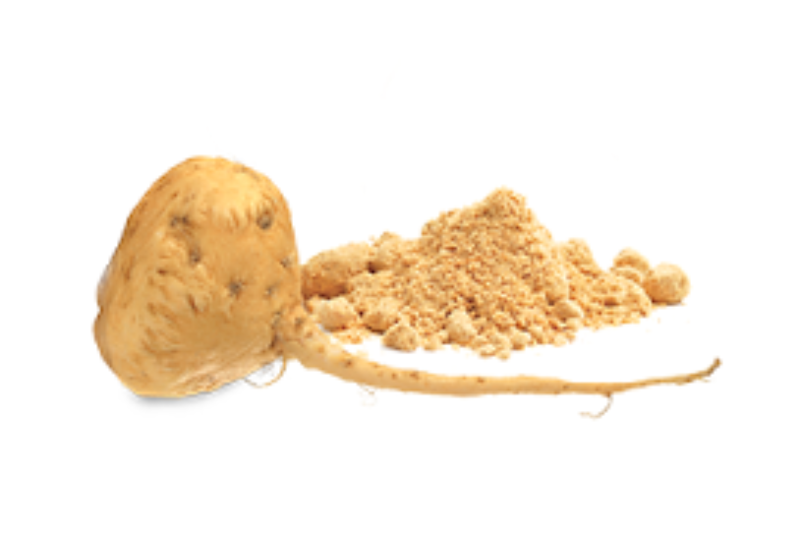 Maca is the best endocrine enhancing food there is. Even a person on Testosterone therapy should consider taking maca. Aside from balancing your testosterone levels, as a testosterone therapy protocol would specifically do, maca powder works on the endocrine system as a whole. Our bodies really produce over 30 hormones so, optimizing its entire functionality is a sure way to feel your best and help your body function its best. In our continued quest to find a cure for heart disease, we’ve found that the cardiovascular benefits of anthocyanins are well regarded for their promising potentials. Studies show that they can help prevent blood clots, improve circulation, relax blood vessels and prevent arteriosclerosis. 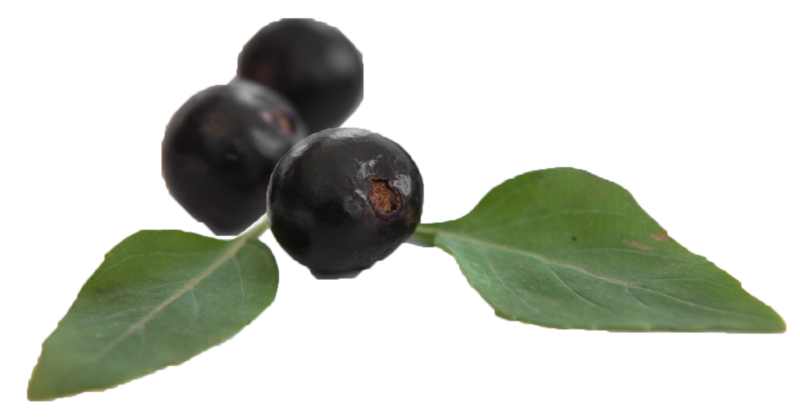 The dark purple skin of the acai berry contains anthocyanin. 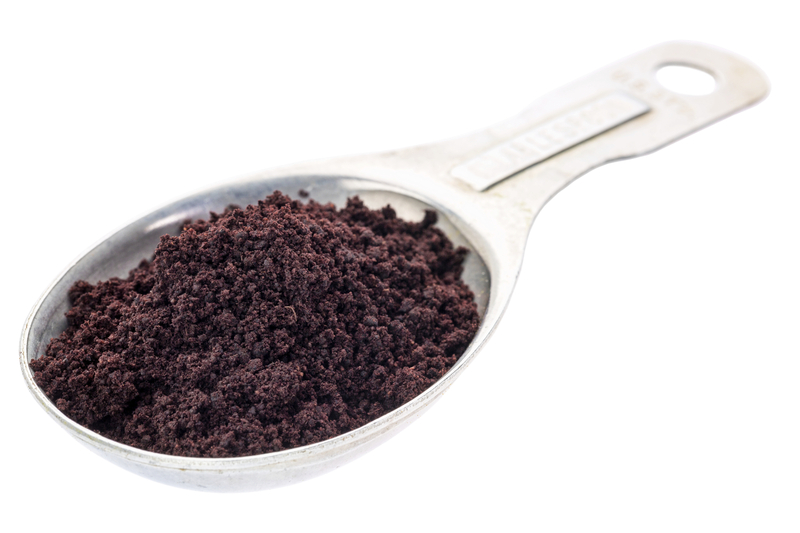 A serving of acai contains 33 times more anthocyanin than a glass of red wine or a bunch of grapes. 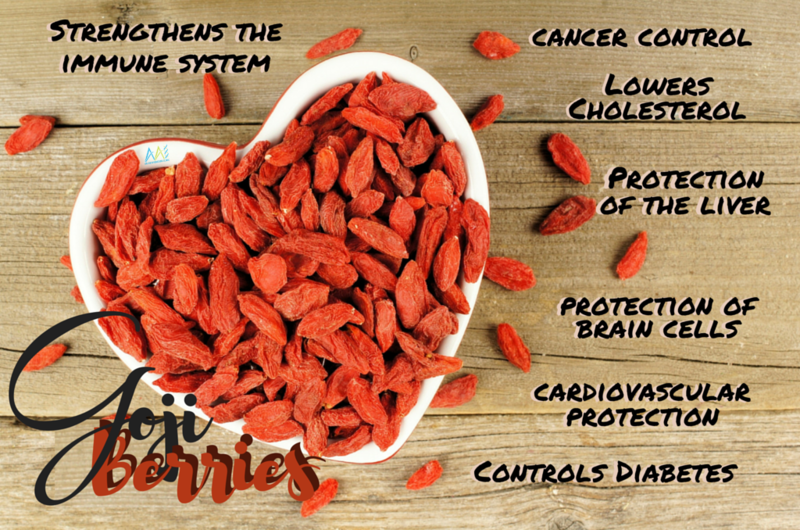 In a Ningxia Medial University study, goji berries contain beta-sitosterol, also in avocado, which studies indicate may help normalize cholesterol. 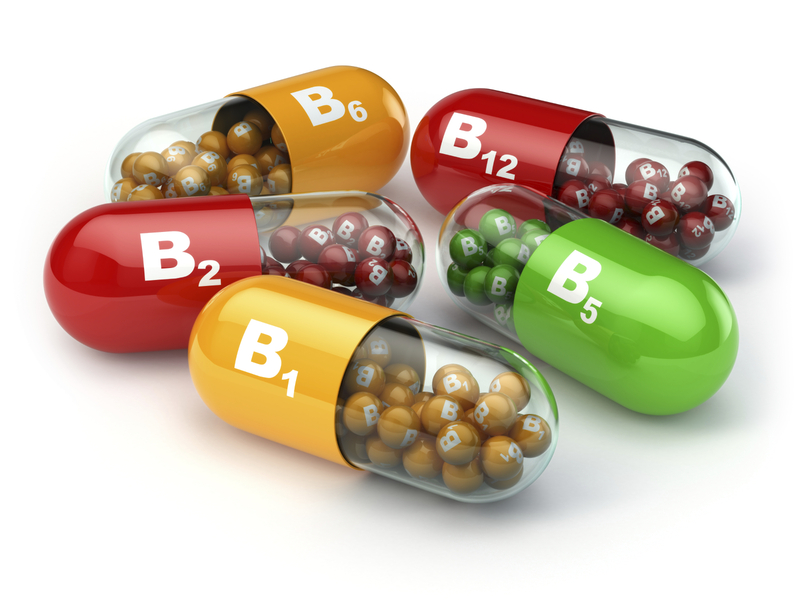 that, particularly, folic acid (vitamin B-9) dramatically lowers Homocysteine while niacin (Vitamin B-3) is more impactful in lowering cholesterol. 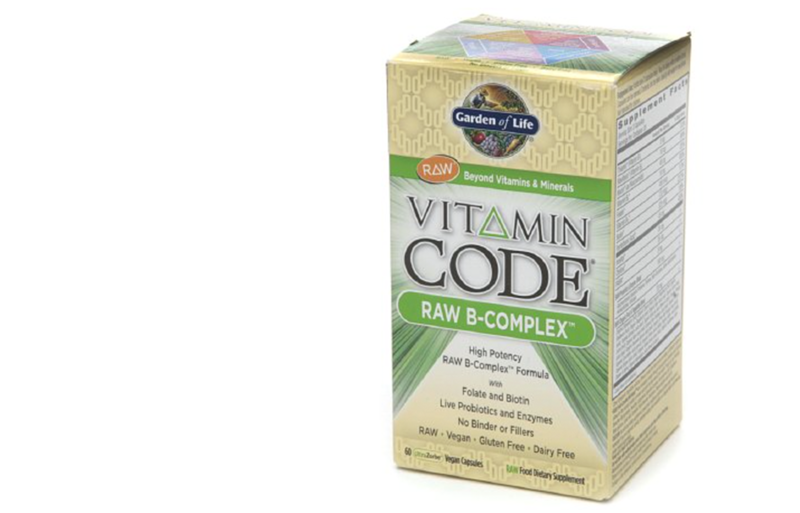 Garden of life makes a “Raw B Complex Vitamin” that we trust works really well if you want to get something quick off the line. Of course, at AAI Rejuvenation Clinic you’d be able to obtain a prescription for injectable B complex vitamins, which the body absorbs superiorly to any oral mixture. Fill out the Medical History Form and we can assist you with obtaining this prescription strength compound. 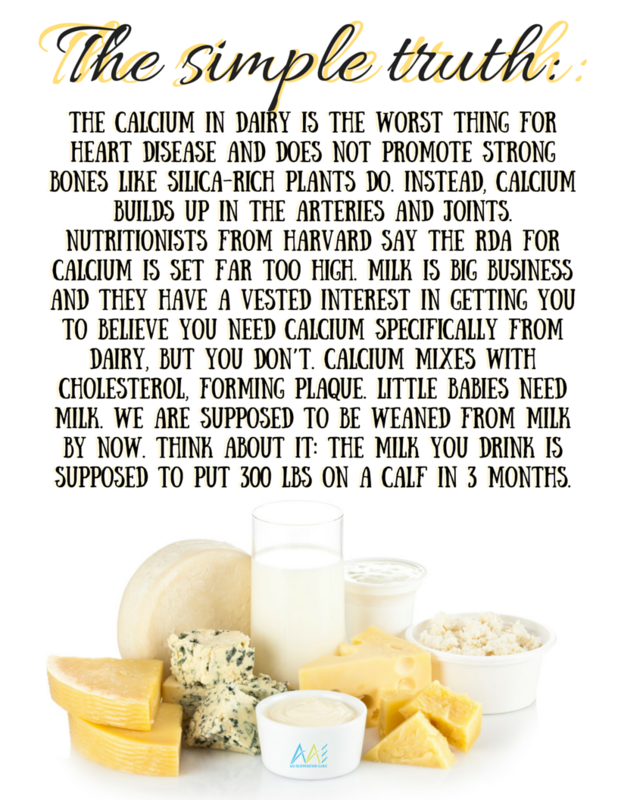 To cure heart disease, you simply must avoid dairy at all cost. The issue with this is we are so used to dairy. It is such an intricate part of the fabric of our society as well as a staple of American growth and development, not to mention, an absolute must for breakfast and the most delightful of culinary achievements. How can we have the gall to tell people to avoid all dairy products? It’s quite simple, it is all dependent on the severity of your issue and how much you really want or need to see improvement in your cardiovascular capacity. Cheese is the very worst kind of dairy product. It gets the title of “Worst artery clogging food”. Avoid all milk products for six months. Try it. It will be hard but, nothing supersedes life. Nothing tastes better than being healthy. 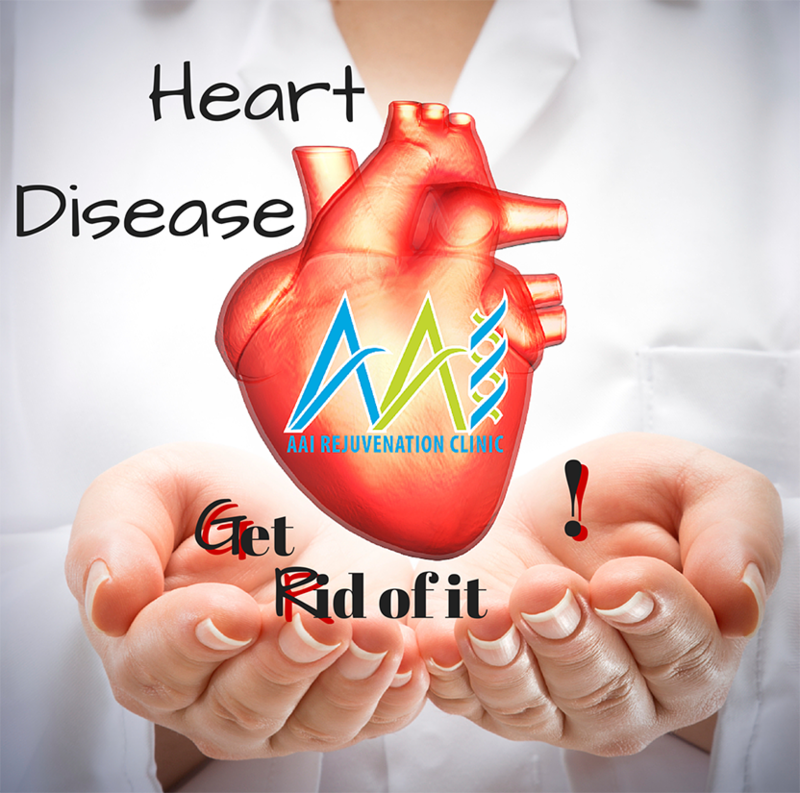 This protocol isn’t only for people who are looking to cure heart disease. It’s a general protocol for maintaining excellent heart health. Maybe there’s a family history of heart disease. Well, beat the odds with the right foods! Doing this heart disease remedy protocol even for a short period of time can lead to supreme health transformations. 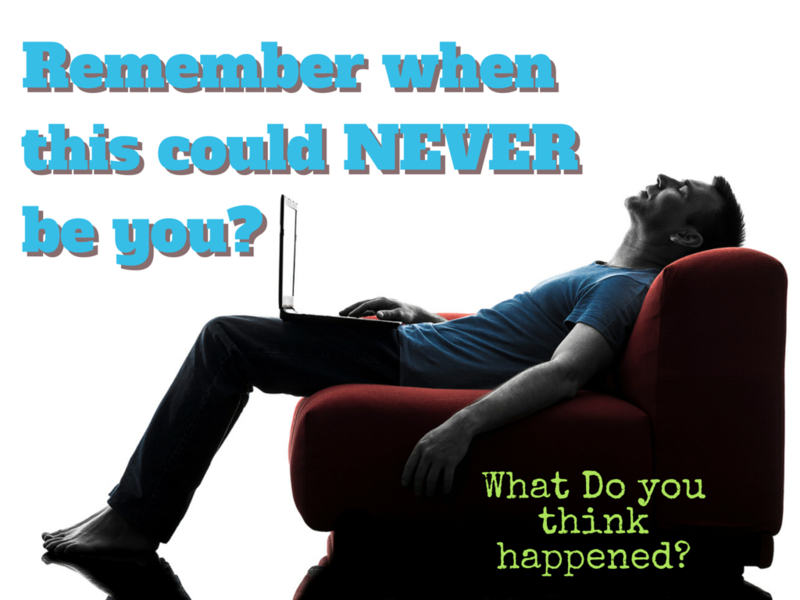 If heart disease is in your life now, don’t be so afraid that you remain paralyzed. Take action!! 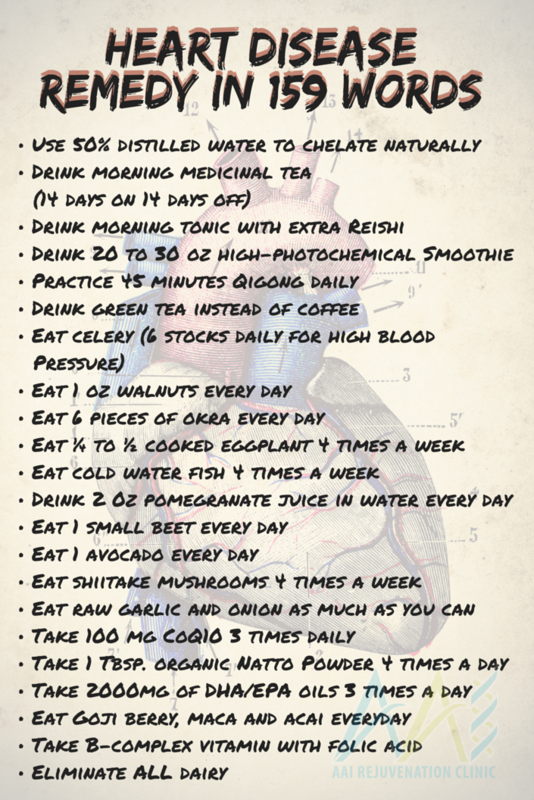 If you follow only 50% of this heart disease remedy, you will still get excellent results. However, if you manage to rev up your engines and get your willpower going enough that you can do it 100%, you can rest assured your next lab results will amaze your doctor. Lastly, make sure that you show this protocol to your doctor before you begin doing any of it. 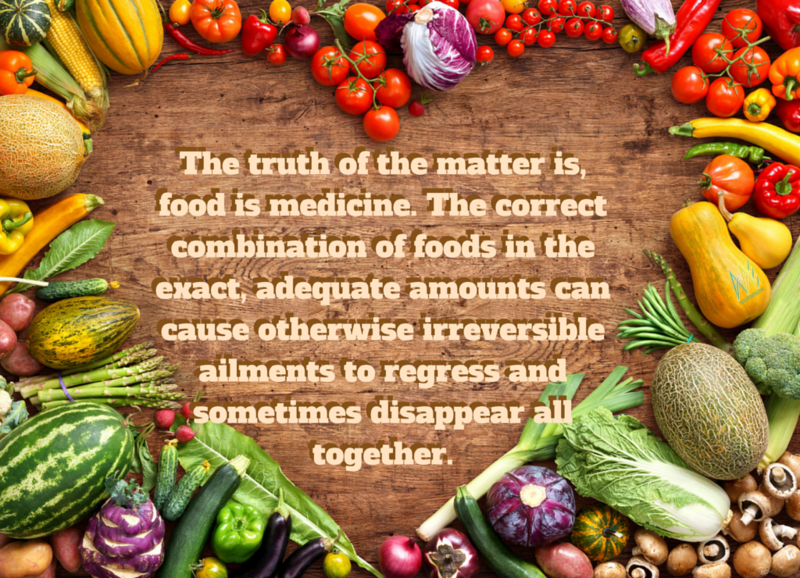 The truth of the matter is, foods are medicine, some may not be appropriate for you and perhaps your doctor can help inform you. Always seek input from your doctor before you begin any type of protocol or consider any substitutions. If you have any questions at all about any of the information contained in this article or any previous, we are happy to discuss your thoughts. We always emphasize that your hormone health is very important to all your organ functions. 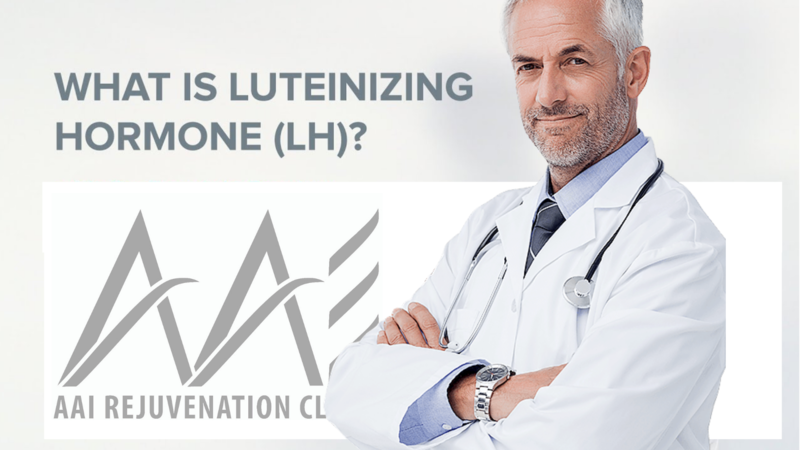 Testosterone levels are directly correlated to heart health so if you have not checked your hormones, you want to contact us so we can help you schedule quick and easy blood work. We can even help you set up private, at-home testing, so you can receive fresh results to base your next move on. To have someone reach you within 24 business hours, please fill out our Medical History Form.